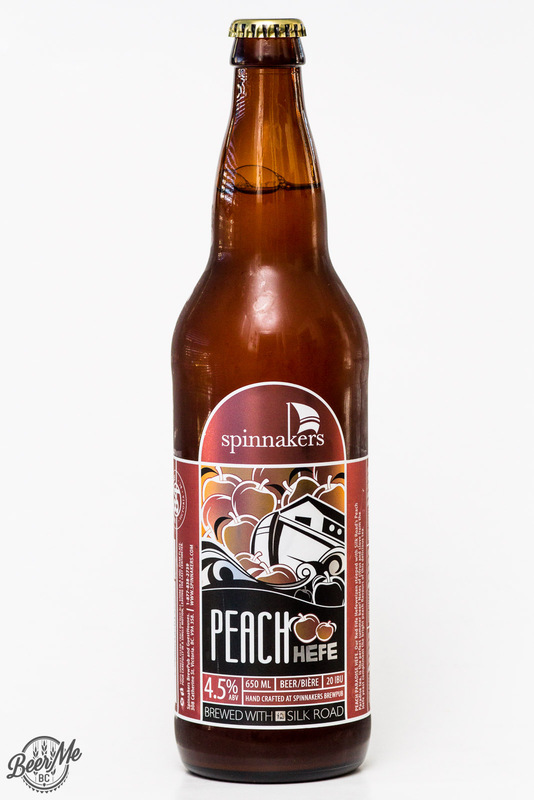 Victoria’s Spinnaker’s Brewery has brewed up a Peach Hefeweizen. 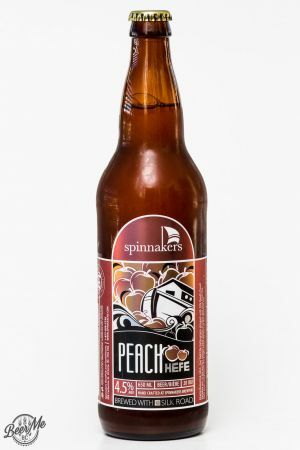 Brewed using Silk Road Peach tea this beer comes in a bomber bottle and pours a colour of hazy gold and has three full fingers of lacing head. 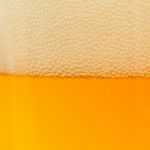 The aroma is full of wheat and clove along with a mellow tea-like aroma. 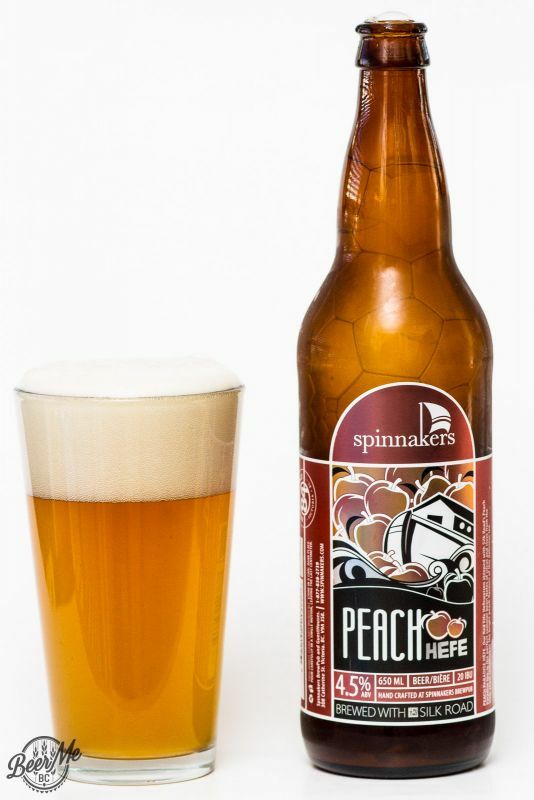 The peach is subtle but adds a light and fruity character to the beer’s smell. 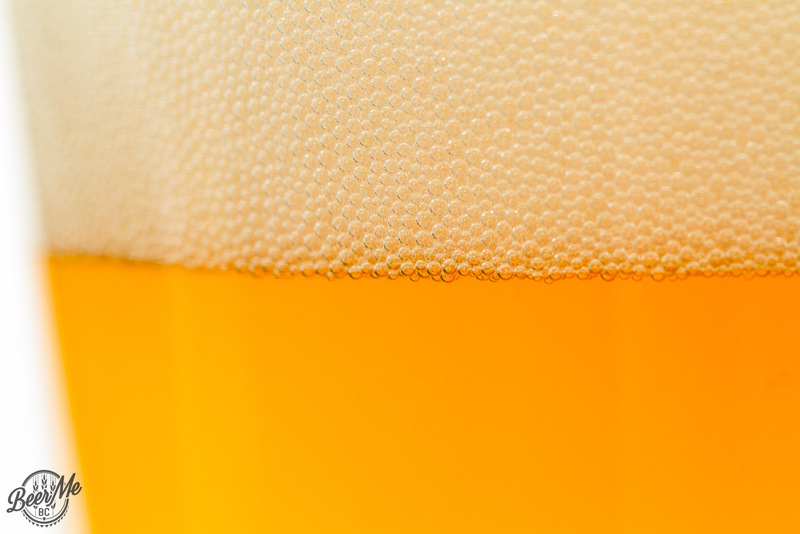 The flavour is mellow for a Hefe without much in the way of banana or clove character. This leaves the subtle peach tea tones to come through more clear despite their light impact. 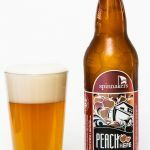 The result is a light, sessionable and easy drinking hefeweizen with a dry peach tea character that leaves the palate clean and ready for another sip.